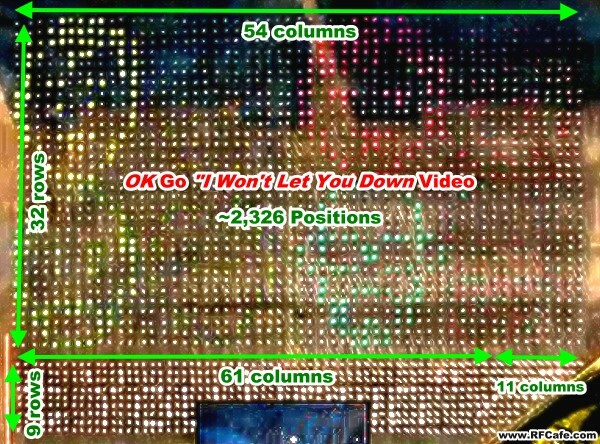 OK Go is perhaps best known for sophisticated videos that require extremely high levels of choreography. Their I Won't Let You Down video was posted on YouTube just yesterday and it has nearly 2.5 million views a day later. Back in 2010 I posted their Mousetrap-like This Too Shall Pass video; it now has more than 45 million views. Two major aspects of high technology are featured here: Honda's UNI-CUB β robotic unicycle and the use of a remote control octocopter drone for filming the video. 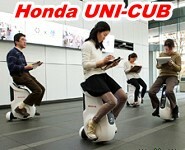 Honda is not selling the UNI-CUB β yet, so the company must have been involved in the effort. The I Won't Let You Down video is featured on the Honda website. Obviously inspired by the Segway scooter, the self-stabilized, gesture-controlled unicycle's talents are aptly demonstrated by OK Go band members. Although you never see the octocopter itself, you can easily imagine a camera suspended from the airborne platform as it flies smoothly and effortlessly at various positions and altitudes. Personal versions for peeking in your neighbor's window* can be bought for under $200, but the type used for filming this video likely costs more than $20k not including the camera. 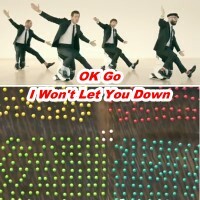 The song, "I Won't Let You Down," comes from OK Go's CD titled, "Hungry Ghosts."